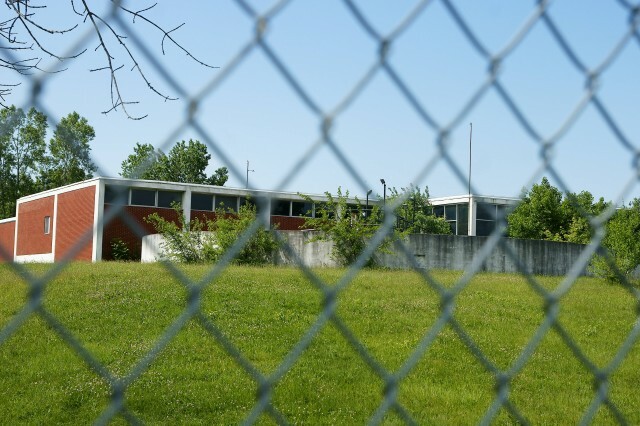 The City of Windsor is preparing to finally dispose of an old, overgrown, unused water treatment plant located along the Ganatchio Trail. The Town of Tecumseh, in conjunction with the former Town of Riverside, built and operated the water treatment plant on Riverside Drive (located in the former Town of Riverside). The plant was used for the supply of water to both Tecumseh and Riverside. When the Town of Riverside became part of the City of Windsor in the 1960s, the plant remained property of the Town of Tecumseh — even though it was located in the City of Windsor — and continued to supply water to the Town of Tecumseh. In 2004 an agreement was reached for Windsor to supply all water needs to Tecumseh and the plant because unnecessary. The plant was transferred to the City of Windsor, was decommissioned and demolition is planned to take place in the coming months.